Founded in 2008 by Nathan Taylor and J. Kent Martin, Obelisk Home made its debut as a brick and mortar retail shop carrying an ever-changing assortment of unique furniture, lighting, accessories, antiques and fine art. With over 25 years in the interior design industry, Nathan Taylor leads the Obelisk Home Design Studio which provides a broad range of services extend from initial concept planning through construction and furnishing the interior. We are known nationally for giving architecturally traditional homes a youthful energy and sophistication by artfully mixing periods, styles and moods, bringing an eclectic mix to our projects. Through ObeliskHome.com, the pair can offer a curated assortment of the finest in furniture and home décor to a broader audience while providing useful design tips and information. 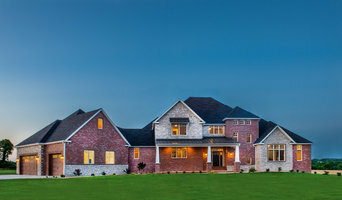 Custom Home Builder and Re-modeler in the Greater Springfield, Mo area. Travis Miller is dedicated to providing a home that you can be proud of and enjoy for many years to come. As you move into your new home or back into your remodel project, Travis and his team will continue to be a resource for questions and issues that may arise as you adjust to your new living space. As a 2nd generation builder, Travis understands the importance of communication, cooperation, and trust necessary to satisfy a customer’s needs while maintaining a realistic cost analysis for each project. His hands-on approach ensures all projects are managed timely and efficiently with the utmost attention to detail throughout. Travis Miller Homes has won several awards for their projects and is actively involved in the Southwest Missouri home building community to help advocate good building practices for local builders and government agencies. When you are ready to build your dream home or remodel your existing home, contact Travis Miller Homes today to discuss making your dreams a reality! 1435 S. Enterprise Ave. SpringfieldMO65804. 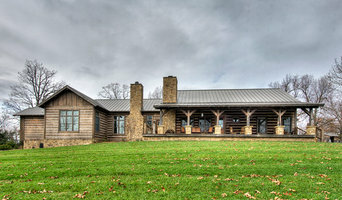 At John Marion Custom Homes, LLC we are committed to building homes of the highest quality. We understand that your new home is perhaps the single largest financial decision your family will make. Our long-term success of the company is rooted in our day-to-day decision-making that affects the overall satisfaction of each one of our customers. The highest honor our company can receive is a referral from one of our customers. This honor is achieved only through complete customer satisfaction with the home we have built for them. Our dedication to fine home building began in 1994 in Springfield, Missouri. As a home builder with over 20 years of experience, we know that using our process results in collaboration and ultimately the satisfaction of our customers. Erica Lea Design Studios listens, we understand that your home should tell your story. Kitchen Works LLC is a highly regarded father-son collaboration of Philip Storey Sr. & Philip (Flip) Storey II. We are the only kitchen & bath dealer in Southwest Missouri with hands on construction & remodeling experience. This talented partnership continually provides distinctive designs along with incomparable craftsmanship to its clients. Offering a complete one stop kitchen or bath remodeling experience, Kitchen Works is committed to providing unparalleled value, superb products & top-rated services. 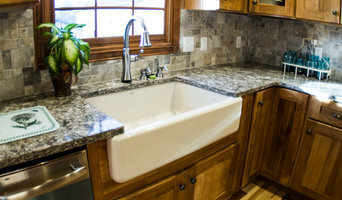 We are the only kitchen & bath company that does not sub out our installations. Instead, we are highly regarded for our awesome personal installations and superb talents as craftsman. “We’ve always loved to cook so helping people turn their dream kitchen into reality has become a passion for us.” Kitchen Works…Dedicated, Professional & Talented. Let us be REMARKABLE for you! Darlene Nicolau, Interior Design AEC, MBA, BA is the visionary behind Nico Interior Design. Darlene brings years of experience, natural ability, and a client-focused design process to ensure that each final design is functional, elegant, and timeless. A former commercial banker, Darlene’s real estate expertise and financial and project management skills are an asset to any interior design project. Born and raised in Toronto, Canada, Darlene has also lived in British Columbia’s historic city of Victoria, the west-coast metropolis of Vancouver and sunny Delray Beach, Florida. She currently lives with her husband in a historic home that she restored in Bentonville, Arkansas. Nico Interior Design offers a full range of interior architecture and design services for remodels and custom home builds. Specializing in kitchen, master bathroom and closet design as well as children's bedrooms and play areas, Nico Interior Design personalizes each space with unique architectural elements, built-ins, fixtures, color and decor. 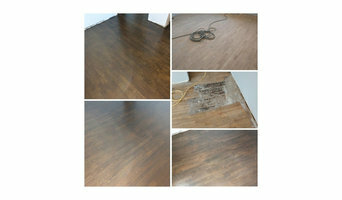 We are experts in residential and light commercial renovations. Our team of designers and craftsmen provide a complete start to finish service to our clients. We design and build LIFE CHANGING projects that are both BEAUTIFUL and FUNCTIONAL! DESIGN...BUILD...RENOVATE...It's What We Do! Professional Interior Design firm specializing in custom design for homes and businesses. A. DECKARD INTERIORS, LLC is a full service interior design firm in the Greater Springfield, Missouri Region. We are a group of professionals completely committed to providing our clientele with the highest level of design service to meet individual project needs. We pride ourselves on working on behalf of our customers from the earliest conceptual designs through project completion. Although the scale, location, and specific needs of our projects vary widely, our unwavering dedication to the satisfaction of our clients remains constant. Beekman Builders is a trusted contracting firm comprised of a husband and wife team who bring a passion for the building process. Chris and Debbie stay very involved with the design and contracting elements of each project.This duo has been involved with building for over 18 years. Building is very prominent in Chris’ family as he followed along in his father’s footsteps - helping him build since he was a teenager in the 70’s. Our focus is to build you a dream home that reflects your style, while at the same time honoring your budget and your timeline. It is important to us to be up front about costs and issues "behind the walls" that might occur. We, at Beekman Builders, believe beautiful spaces do not necessarily have to be expensive, just well planned and executed using creativity to build a quality environment with character. Our clients become lifelong friends and we are happy to return to continue building their homes for all of life's surprises. Ed developed an interest in architecture during his high school years and fine tuned those skills through his college years. He first obtained a degree in Architectural Drafting Technology from the University of Central Missouri in 1978 which started him on his journey to drawing as an art form. Wanting more from his drafting experience, he pursued and earned a Bachelor of Architecture from Kansas State University in 1983. After working for two of the top architectural firms in the Midwest, Ed earned his license to practice architecture in 1994 from the State of Kansas. That has since grown to architectural certification in four states. He continues to commit his professional involvement to the American Institute of Architects and the National Council of Architectural Registration Boards. The philosophy at DGA is that your project is at the forefront of our design work. Our duty is to study the function, character, and effectiveness of your project, to properly interpret your wants and needs, to determine the character of the area where your project will be built, and to respond with a design that meets those parameters and your budget. At DGA, we are committed to seeing that you are thrilled with your experiences. Our long list of repeat and referral clients speak loudly of our ability to meet your specific needs. Ed has acute skills in leading design teams on a variety of project types, including retail, healthcare, hospitality, foodservice, and high-touch residential projects. His clients include Citizens Memorial Healthcare and Foundation, Pizza Hut, Dillons Foodstores, Super 8 Hotels, and numerous distinguished land developers and home builders in the Midwest. Many of his clients are loyal repeat and referral clients that have honored him with cherished relationships since the inception of his business. By utilizing the design services of Design Group Architects Ltd., you can be assured that every effort will be made to create a distinctive building for you and to realize your satisfaction with our services. We pledge to offer the finest in residential and light commercial design services available for fees to match your budget. What good would it do to be satisfied with any less than that? "Keystone" - The central supporting element of a larger structure, without which the whole structure would collapse. Keystone Building and Design, LLC, was created in 2007, specializing in kitchen & bath remodeling, room additions, and renovations. Our projects have been recognized and awarded for their creative design, scope of work and customer satisfaction. We have been acknowledged for our responsive customer service and our exceptional attention to detail. Keystone Building and Design, LLC, Is dedicated to meeting the needs of each of our clients. Our goal is to reflect the highest quality in all of our work. We take craftsmanship very seriously. We believe in taking the time to have the right tools, knowledge and experience to execute the job effectively. Contact us and experience high quality craftsmanship and professionalism. We specialize in new home building and remodeling homes for discerning homeowners who value lifestyle design and high attention to detail. Our goal, as the only Graduate Master Builder in Springfield, is not to be the biggest builder in town, but the best. Our business model is based on old-fashioned values like taking pride in our work, caring about our clients’ needs, and keeping our promises.